A reminder that the MRO Demystified series is still ongoing! Part III will be released in the very near future, but if you missed it, Part II is still here. MRO is an often overlooked category of spend. However, transactions that may seem unimportant and minute can add up to a create a category with an underestimated impact upon profitability. Dejana Dosen discusses how to manage MRO more effectively and how much impact doing so can have upon the bottom line. Jen Ulrich describes “Broken Window Theory” defined in the Atlantic as it pertains to procurement rather than crime. The dangers in complacency and laziness are incredibly apparent in all procurement processes. Skipping that one step in analysis once or twice sends a message to the rest of the company that it really is not that important. Proper procedure begins to slip from there. Inversely, going for a period with no missed dates leads by example and will to many show the significance of the processes in place. Programmatic buying is an exciting and fresh take on procurement especially within media buying. It may seem like an auto-pilot or easy mode alternative to traditional manual methods, but it sadly is not that simple. The podcast asserts the value of programmatic buying tools but also that contracting media buyers, though less needed, still has some uses that no algorithm can accurately tackle at this time. 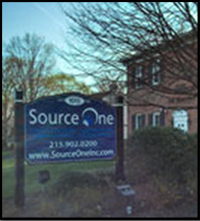 Source One is hosting its fourth annual happy hour for Supply Chain professionals. Don't miss this chance to network with industry peers. Want to learn more? Contact Kaitlyn Krigbaum (kkrigbaum@sourceoneinc.com) today. Hosting hundreds of top industry minds, Connect CFO Leadership Summit will take place in Chicago. Corcentric will be both in attendance and sponsoring, with SVP of Sales, Dan Andrew, giving a presentation on the Power of Payment and Accounts Payable Integration. The conference will foster an atmosphere stimulating the exchange of information surrounding of industry trend and emerging technologies. At the end of this month, Source One will be a proud sponsor of ProcureCon MRO in Fort Worth, Texas. An event packed two day conference, ProcureCon MRO will define innovations in MRO Procurement, and Strategic Sourcing such that businesses can grow together. Artificial intelligence in Procurement is at the forefront of many key presenters. Our Source One team is ecstatic to be in attendance and looking forward to the excellent networking opportunities the conference will provide.